Can you provide a commercial address for shipping? 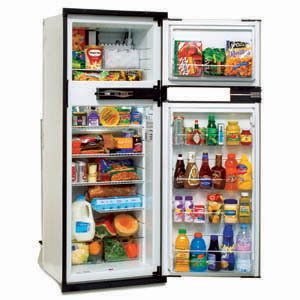 Norcold N841 RV Refrigerator is largest and best in it's class. With reversible doors, eye level LCD controls and energy efficient alarms to make sure you are worry free while driving on your next trip. Embedded steel frame ensures long life by protecting from bending,scratching, and corrosion. Premium features save time, energy, and food.This "Best In Class" flush mount refrigerator leads the field in being roomy, convenient and user friendly. The Norcold RV refrigerators model N841 are 110 volt electric - lp gas 2 way - These fit many applications and are very popular with customers. These products have a perimeter frame with cross member A-frame design to provide greater hinge and door support. The 3-point hinge attachment provides tighter tolerances on door alignment and less door flex under load. Also, two seven-segment LEDs are easier to read. The two letter diagnostic codes are easier to understand and error codes will display only when active to eliminate confusion. This unit operates on LP Gas or 110V AC, however a 12V power source is required for the control system. Height and weight are less mounting flange. Depth includes flush door. Refrigerator cannot be shipped UPS. (go to the customer support at the top of the page and click on the Product Conversion Charts. This will bring up the Refrigerator Conversion Chart). Find your existing model and cut out dimensions and the replacement chart will give Norcold's replacement recommendation and cut out dimensions. Note: All door panels sold separately, if you are in need of the panels please choose in the drop-down menu to add them. 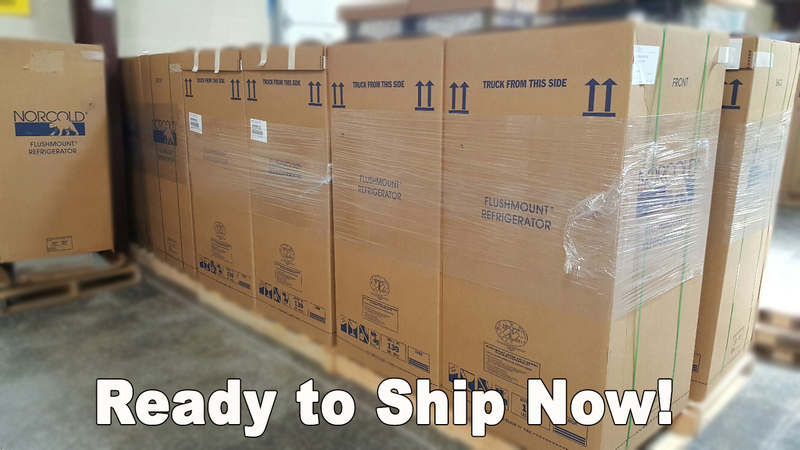 This unit can only ship to a commercial address due to being shipped safely on a freight truck. Please list a commercial shipping address (including the business name) during checkout.